As of Vectorworks 2017 SP2, we now officially support the macOS Sierra 10.12 operating system. Make sure to visit http://www.vectorworks.net/support/downloads/product-updates to find the latest service pack for Vectorworks 2017, or use the Check for Updates function directly in the application under the Vectorworks or Help menus. Has anyone dared take the plunge and run VWX on MacOS Sierra?? but currently it is more critical to me to first know if VW 2016 will run. Let's see how long I can hold myself. Acceptance testing is going on right now to determine which versions of Vectorworks we can deem compatible with macOS 10.12. I will announce the results as soon as possible. I don't want Siri on my Desktop. A cleanup feature that will skip waste bin. so I just didn't really look into it, to have enough clue if Sierra will bad or not. But first reviews weren't that positive. 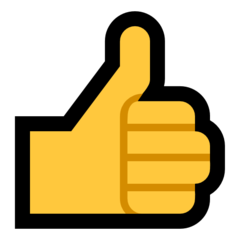 @zoomer- you neglected to mention giant emoji. The one MacOS Sierra feature that might be useful is the ability for third-party applications to have tabbed windows, just like any web browser, and much like was just introduced in Vw2017. But other than that, I agree with you and there's not much for me to get excited about - especially at the risk of breaking incompatible applications. I didn't think Siri on the Mac would be a big deal...but so far, I'm using it a lot more than I thought I would. iCloud documents is great...might even move some of my primary project folders to iCloud from Dropbox. Overall, I think Sierra is really good...and under-rated...but to each his own. VW2017 still cranking away...no issues so far. oh dear - going to find it hard not to upgrade. If I wasn't in the middle of two massive projects I would have done by now. Will hold out until next week at least. iCloud documents is great...might even move some of my primary project folders to iCloud from Dropbox. I curently just don't understand how everything works and what is on by default. I don't want to upgrade and see that Apple moved my Parallels VM's from local to iCloud and such things. my microphone listen all the time and those things. Siri can be enabled or disabled with one check box (enabled by default). Also, you have to use a keystroke to talk to Siri anyway...it isn't listening all the time (like Alexa). My Parallels VM is still in my Documents folder after the upgrade (it doesn't get moved), but it isn't in iCloud. In the Finder there is a new column (disabled by default) that shows the iCloud status. Maybe because the VM file is a package, or that it's too large...but even though it's in the documents folder, it's not in the cloud. Also, I'm pretty sure you can change the default Parallels VM location, so I don't think this is an issue. Also, you can disable this feature completely. that helps a lot ! But iCloud usage is on by default ? There was one other issue with the cleaning feature I read on a well known computer news site. and no space problems at all. I would like to deactivate that before it does anything. I do have nearly no data at all in default Documents Folder. Is Documents Folder the only Folder effected ? Yes, iCloud storage is on by default, but it's easy enough to disable. In the iCloud Drive preference pane, there is a checkbox for "Documents & Desktop". I haven't had any problems with files disappearing or other strange behavior. "We know many of our users are eager to update to macOS Sierra 10.12, especially since the update is offered for free. However, as it is a major OS upgrade we ask that you please proceed with caution. So far, we have not found any major issues related to running Vectorworks 2017 on MacOS 10.12, however we have found some slowdowns when opening files saved in previous Vectorworks versions, as well as some user interface inconsistencies that we feel need to be addressed. Once we complete acceptance testing on the release build of mac OS 10.12 to determine compatibility we will issue a statement as soon as possible. 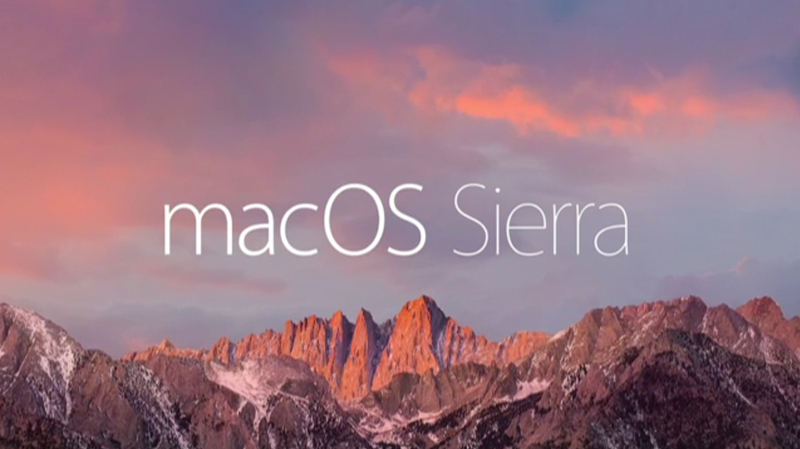 For the time being, we do not recommend upgrading to macOS 10.12 Sierra. " As said, this time no hurry for me. But thanks to all early adopter for clearing things up anyway. I wiped it out and installed Sierra. Now I cannot install the student version of Vectorworks. When I execute the Vectorworks install program, the icon does the normal start routine (a vectorworks icon appears on the desktop jumps up and down a couple of times) and then the icon disappears and nothing happens. I upgraded from El Capitan because I was having problems with another CAD program. Apple Care tells me that Vectorworks software is not compatible with Sierra. My hope is to take the computer into the Genius bar and have them reinstall El Capitan. From what I read here, it may be a problem with the install feature. I deleted the download file and started over. I get the same results. The program has not been installed. Interesting...for reference, here is my experience. When VW2017 was released, I installed it on my mid-2014 Retina MacBook Pro 15" with El Capitan. I was (and still am) running VW2016 and VW2017. Installed macOS Sierra on release day. Both VW2016 and VW2017 ran the same on Sierra as they did on El Capitan as far as I could tell. I was keeping a running bug list for VW2017 BEFORE I installed Sierra. Bugs that I found, where a direct comparison could be made to VW2016, did not change in Sierra. In other words, bugs/non-expected behavior in VW2017 did not change when I updated to Sierra, they were there before. Further, the same files in VW2016 on Sierra did not exhibit the bugs/non-expected behavior. I am running VW2017 (and VW2016) on macOS Sierra on my production machine with active projects, 14 hours a day with no problems whatsoever, except for the bugs noted above. HOWEVER!!! I defer to the developer's recommendation NOT to install Sierra until it is supported. My finger is hovering over the install OSX Sierra button. Anyone else had any bad experiences? Nonspecific to, but of interest to Vectorworks users; I have many users and beta testers reporting problems and incompatibilities with Canon printers after the macOS 10.12 upgrade as well. I have installed Sierra and after the installation I couldn't import a jpg anymore as an 1-bit PNG in my Vectorworks 2016. It remains 32 bit and therefore I cannot change it's color as I used to do. Same thing happens to VWX 2017 Test Version. VectorWorks 2013 still works without a problem. PDF the 1-bit PNGs show only B&W. People having problems printing to Canon printers should publish to PDF or print to PDF and then use an app like Preview to print. I have not upgraded yet, but I am itching to do so. So far, VectorWorks seems to be working fine (I wasn't foolish/brave enough to install it on my primary machine, though). Have been trying to find out when VWX 2016 SP1 was released (which I think officially supported El Capitan) but can't find the info - just trying to guesstimate how long until 2017 SP1 is out.